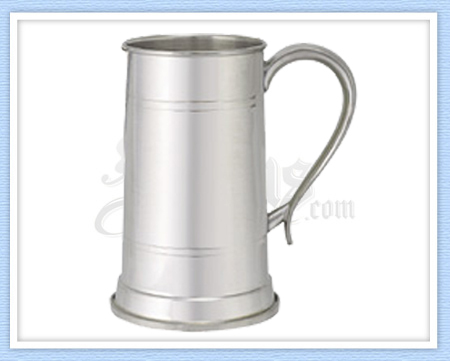 The 40 oz version is the largest tankard we sell. 40 ounces!!! Now you don't have to drink that Old English out of the bottle with a paper bag around it!! Please select from 4 sizes and from bright finish, which is a high polished glossy contemporary style finish or satin, which is a brushed, dull antique style.